For 2019, I have created an “Ice” themed January to December calendar featuring images of icebergs, glaciers, and ice fields. 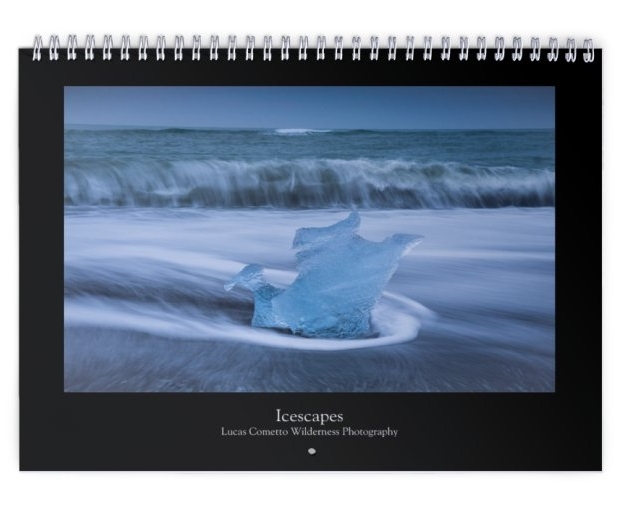 Titled “Icescapes,” this calendar contains images from the far reaches of our planet, including Greenland, Alaska, Patagonia, and Iceland. The wall calendar dimensions measure 8.5" x 11" and is printed on premium glossy card stock. Each page includes a punched hole for easy hanging. If you would like further details on the calendar, please reach out to me at lcometto@gmail.com. Otherwise, please use the “Add to Cart“ button below to purchase the product! 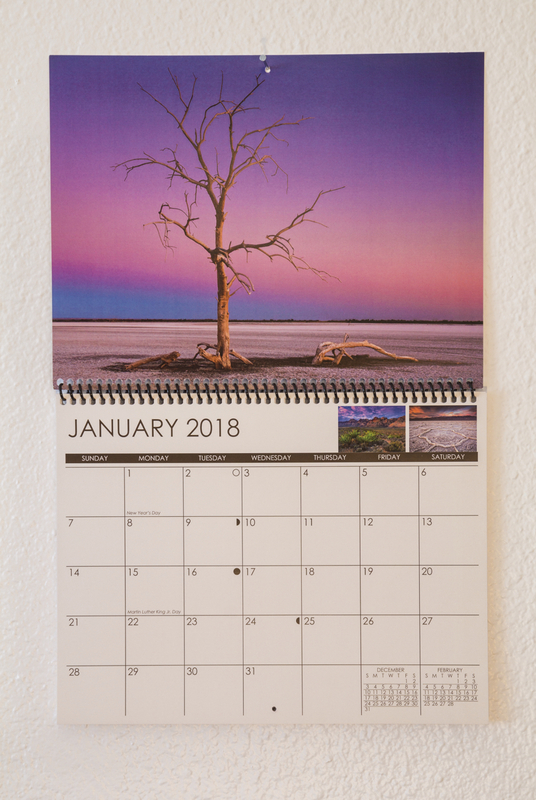 In 2018, I created my first calendar focusing on various deserts and arid landscapes that I have shot over the years. As it’s title, “Desertscapes” indicates, the calendar collected images from various deserts across the globe and highlighted some of the most beautiful, fascinating, and otherworldly scenes I’ve encountered. Photo locations included: Death Valley National Park, Vermillion Cliffs National Monument, the Atacama Desert, Red Rock Canyon State Park, the Mojave, and several others. I'm proud to license a selection of stock images through both Adobe Stock and iStock by Getty Images, two leaders in the stock image industry. Through these resources, businesses and individuals alike can access and utilize a variety of professional landscape photography images to enliven websites, digital files, printouts, promotions, and a wide assortment of other projects. View my stock image portfolios below to license or download a selection of my photographs featuring diverse landscapes from around the world to enhance your next project. Adobe Stock is a service that provides designers and businesses with access to 90 million high-quality, curated, royalty-free photos, including a growing selection of my own landscape photos. The Adobe Stock service is built right into various Adobe desktop apps, such as Photoshop CC, Illustrator CC, and InDesign CC, so you can search, browse, and add images to your Creative Cloud Libraries, and get instant access to your assets across desktop and mobile devices. You can license and download my images by either clicking the header or the image to the left, visiting the Adobe Stock website, or from within a Creative Cloud application. For details, see Using the Adobe Stock website. Founded in 2000, iStock by Getty created the crowd-sourced stock industry and became the original source for user-generated stock photos, vectors and illustrations, and video clips. It is now one of the world's leading stock content marketplaces, offering millions of hand-picked premium images, including a series of my landscape photos found throughout my portfolio. If you are interested in licensing my stock images, please click the header or the image on the right or visit the iStock by Getty Images website.